The German musician Gottfried Reiche was considered one of the finest instrumentalists of his day. Reiche spent the better part of his career in Leipzig, where he played all of the first trumpet parts of another famous musician who made that city his home — Johann Sebastian Bach. A prolific composer in his own right, Gottfried Reiche wrote 122 Abblasen-Stücken, of which only one has survived. 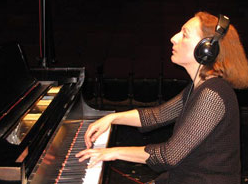 The short and brilliant solo work that opens this disc also serves as the theme for the CBS Sunday Morning show. The Spanish monarch Alfonso X El Sabio (“Alfonso the Wise” or “Alfonso the Learned”) was a man of considerable and varied artistic gifts. Alfonso originally composed his Cantaiges de Santa Maria (“Songs of St. Mary”) to accompany the celebrations of the miracles of the Virgin Mary. The song, “Como poden per sas culpas” tells the story of a lame man who is finally able to walk again. The principal melody — with its constant shifting of 3/4 and 6/8 rhythms — depicts the man’s uneven gait. In this arrangement by Phil Snedecor, an introduction by percussion leads to an exchange between piccolo trumpets. The 18th-century German musician Johann Ernst Altenburg is best known for his influential 1795 treatise on the “Trumpeters’ and Kettledrummers’ Heroic and Musical Art”. The Concerto for Seven Trumpets and Timpani is included as a sort of appendix to that treatise. There is some question as to whether Altenburg actually composed this brilliant work, which is cast in the traditional fast—slow—fast three-movement form. 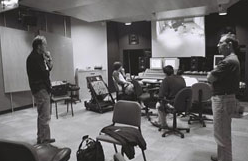 Bruce Broughton is one of the leading composers for the cinema and television, and the winner of nine Emmy awards. 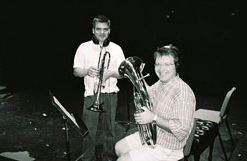 Mr Broughton is also a prolific writer of concert works, including the stirring 1999 Concert Piece for EightTrumpets. This work by the German Renaissance composer Samuel Scheidt made its first appearance in a 1621 collection. 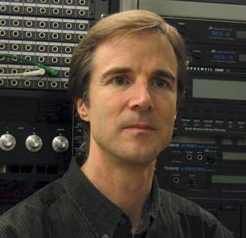 It is the only piece in that collection in which Scheidt specifies the instrumentation. 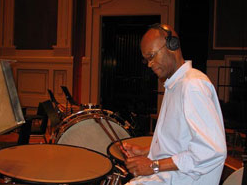 Timpani and Percussion: Timothy Adams Jr. These two brief pieces are from a series of Capriccios by the 17th-century German composer Johann Vierdanck. 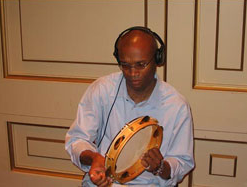 In this recording, lively percussion accompaniment reinforces the dance-like nature of the music. 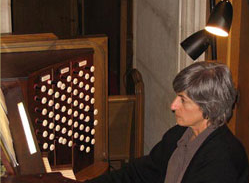 Dr. Gretchen Franz plays the Aeolian Skinner Organ at Mt. Lebanon United Methodist Church. The Sonata a 7 is one of two such works Heinrich Ignaz Franz von Biber composed for multiple trumpets. The festive single-movement composition features an ensemble of six trumpets, organ, and timpani. Benjamin Britten wrote this Fanfare in 1959 for the Pageant of Magna Carta, which took place on the grounds of Bury St. Edmunds Cathedral, England. 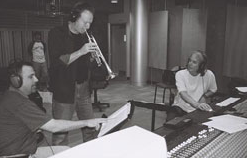 The work is scored for three trumpets, each of which plays a solo fanfare (Britten requests that the “trumpeters should be placed as far apart as possible”). Finally. the three fanfares are played together, leading to a grand resolution. Johann Melchior Molter was a prolific composer of instrumental music, including some of the earliest concertos for the clarinet. This Symphony in five movements is scored for performance by either four horns or trumpets. Publisher: Vanderbeek & Imrie Ltd. The works of the English composer, Ivan Moody, reflect the profound influence of his Orthodox faith. Ivan Moody composed his Words of the Angel in 1998 for the vocal Trio Mediaeval. The text, part of the Orthodox Easter Day liturgy of St. John Chrysostum, describes an Angel exhorting the Virgin Mary to rejoice, as her Son has risen from the tomb. In this arrangement, three trumpets assume the roles of the two soprano and alto voices. The works by the American composer, Joseph Turrin, span the concert stage, films and theater. Among Joseph Turrin’s many compositions for brass is the vibrant Festival Fanfare for Eight Trumpets, written for the famous jazz artist, Lew Soloff formerly of the group Blood, Sweat and Tears.